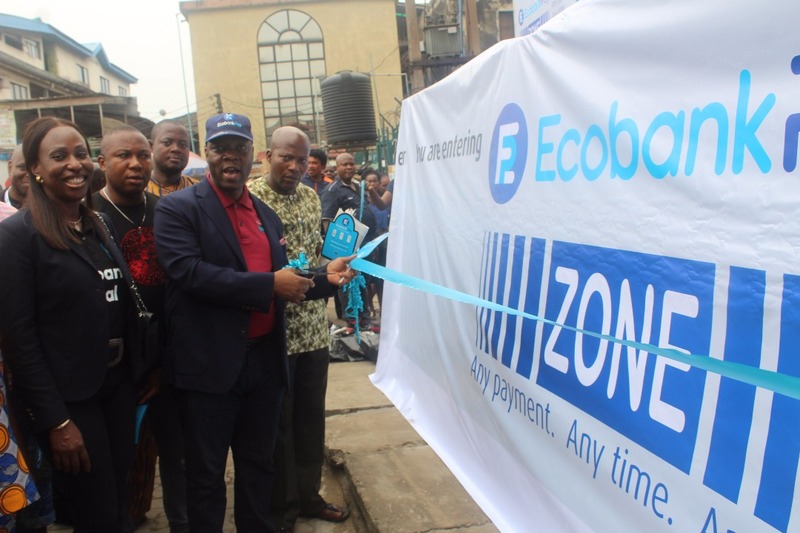 Akinwuntan commissioning EcobankPay Zone at Alaba International Market in Lagos on Friday while top Management staff and customers of the bank look on. PATRICK Akinwuntan, the managing director, Ecobank Nigeria, has launched EcobankPay zone at Alaba International Market, Lagos, and expressed the bank’s commitment to continue innovating more payment and financial solutions to best serve traders across the country. EcobankPay, a special merchant QR Code product of the Pan African Bank, enables customers make seamless payment for goods and services across the three major payment platforms without the use of plastic cards. The uniqueness of the digital product according to the bank is that it has MasterPass, MVisa and Mcash embedded in the merchant identity QR Code. If the person that wishes to buy goods is coming from a bank that has MVisa and wishes to pay, the same QR Code would accept MVisa payment and vice versa. That creates interoperability and convenience for the merchants. The QR Code is much cheaper than having a point of sale, PoS.